The solutions for Wizard’s Words levels can be found here. 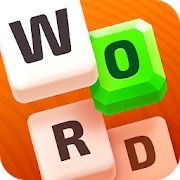 We have the answers to find all the words you need so you can solve every level when you are stuck at the game. When you haven’t played this awesome game yet then download it at Google Play: Wizard’s Words. Scroll down to get the solution for each category and level. Just look for the category and level you need the words for and find them easily.